So, I was inspired by the idea of the Far lands, Golden Lands, and Deep Country of Into the Odd. I had originally made this for OSR as one of my first attempts at creating a setting. Since the Into the Odd Community has been so awesome to me, I figured I'd dust off the old piece, edit a bit, and post with Into the Odd stats. Some things I stole from places, and made my own. A whispering, multi hued desert. A distant land, a far away world, a fold in the fabric of perception and time. The Pashan Whispers can be any, or all, of these things. A place at the extremes of exotic and alien, where the mundane is only vaguely familiar. The physicality of the land? Rolling dunes of prismatic sand, its colors shifting endlessly by a means other than the refraction of light. Within dust storms, the traveler can get glimpses of the great civilization that rose and fell long before humanity's ancestors learned to walk on two legs. Hidden within, or upon, the dunes, are ruins of Pashan's grandeur. The ruins, crystalline and alien, seem to sing in the wind as a way of calling the traveler to behold a strange union between art, geometry, and fossilized life. This is the name given to the deserts of this land; who had given the name is lost to the vagaries of time and memory. Despite its lack of background, the nature of the name becomes apparent when the wind is strong enough to shift the dunes. 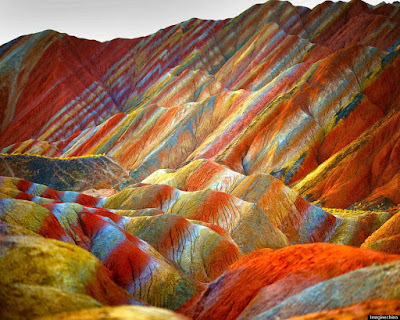 As the rainbow sands tumble over one another, they unleash the susurrus of voices stored beneath these ancient hills. Sanity appears to be an impediment to understanding the language, the anatomy of the throat a disability to speaking it. The storms of the Whispers are the ghosts of times past, rainbow recreations of exotic glories long expired. Within the driving, twisting hues of the sand filled wind, ghostly imagines are formed of the colors and depth the storm. Sights: ghosts of spiders and women dancing to unheard symphonies, cities resurrected to flow through the valleys like liquid flesh and crystal, long processions of children crying silently into the emptiness over some unknowable loss, and so many more events that blur the boundaries between the foreign and the commonplace. These dust storms could be gates to a fabled past, or merely a land reminiscing over a youth long since dissipated. The ruins of the long departed Pasha are as peculiar as the deserts that surround and obscure them. The Pashan peoples appeared to be fond of helical towers and nautiloid domes, though these may simply be the remnants of a far more diverse architectural range. 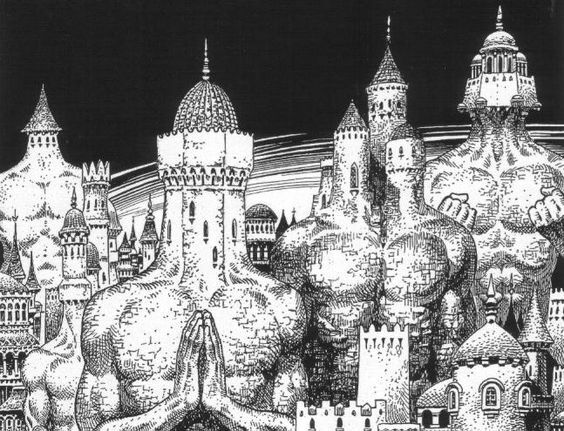 Singing columns, animated mosaics, twisting domes, crawling statues, and so many more horrible and wondrous things can be found within these forgotten places. The constructions of the Pasha are now just desiccated flesh, bone, and crystal whose borders are not clear as to the beginning of one material and the end of another. Within the abandoned places of the Pasha, are the last remnants of their culture. Many of these items still function, owing their continued utility to the mastery of their makers. Their furniture is constructed of materials both common and exotic. Beds of black dust and spider-silk, chairs formed of glass thread atop sculpted iridium arachnids, tables of bone whose tops shift to present unreadable script, are just a few of the wonders that can be found. 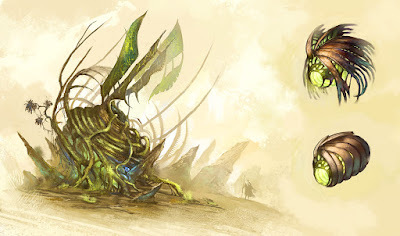 Broken armoires might contain bottles of armored mists that protect that shield the user from harm Weapon lockers could contain projectile weapons shaped like the spindly limbs of insects, their pointed tips expelling spectral fleas that burn and sicken their unfortunate target. Perhaps, overlooked by previous looters, one might find a sword whose blade is a black mass of winding and shifting thread that never knots; the edges are said to be so sharp as to cut the bond between friends and lovers without physical harm. In the sand choked wine cellars bottles of restorative vintages might be hidden beneath dust and bone. Bottles filled with liquid silver, lightning bound mist, or sand that quenches thirst like water. These drafts can close wounds, expand the mind, or enhance a single second of time into a euphoric eternity. These are but a few mysteries one might take back to familiar lands, if one does not get lost in the rainbow sands of the desert. Hidden beneath the sands and ornate shells, lays a titan creature that may not be dead. The crabs were artisans, capable of creating their own shells through sculpting regurgitated prismatic sand turned into glass. Though possessing an alien psychology, they possessed a keen intellect. An entire caste of the Pasha, the crab herders, were responsible for communing with these creatures. Deep within the crabs lays a small nuclear furnace allowing them to derive sustenance from the sand and spit molten glass. There is a 1 in 12 chance that a crab will still be living, the crabs being legendary for near limitless life spans. Rarely, an unfortunate group might find a zombified crab, its dead body now animated by the strange forces inhabiting the desert. There is a 1 in 6 chance the crab will be a zombie. Special Attacks: Spit Molten Glass: 15 ft. Cone Save vs. Breath for ½ damage (7D6 Damage). Character takes another 1D8 damage 2 rounds later after the glass cools and breaks. A crab must spend 1 round gathering sand into its mouth before it may spit glass. Assume the crab has eaten glass before the encounter. Special Defenses: Immune to heat damage, 1.5x damage from cold damage. Driven to reminisce over the lost Pasha and protect the contents of their shells. Treated as a Detachment for combat purposes, attacks with Claws (1D12). Can spit molten glass into a 15ft area, those caught in the area must make a DEX save to avoid being hit. Those who fail their save take 1D8 damage the first round, and take 1D6 damage each round after until they succeed at a DEX save. They are immune to heat damage but take double damage from cold. Special Defenses: Immune to heat damage. Driven to eat and sleep. Treated as a Detachment for combat purposes, attacks with Claws (1D12). They are immune to heat damage but take double damage from cold. These long forgotten titans can speak, though their language sounds like a blend of a foghorn and whale song. When not aggressive, it will attempt to speak to whoever has disturbed it. If the adventurers are unable to understand it, the crab will simply go back to sleep. A zombie crab will always choose option 3. 2) 'Take care of' something wandering around the structure on its shell. A reward will be offered. 3) YOUR DEAD BODIES STRETCHED BEFORE IT!!!! 4) A random mundane item from the player's handbook. 5) Peace and quiet! If the characters make too much noise after the second warning, see option 3. 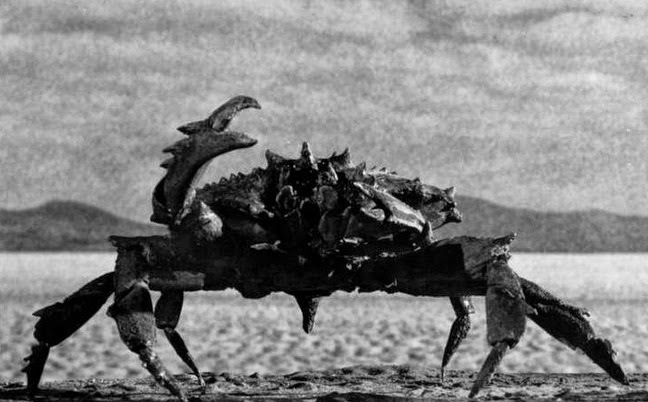 6) Deliver a message to another crab in the desert. A reward will be offered. Pashan technology bridges the gap between life and machine. 5) Silence Box: Though this item appears to be an iridium music box with delicate scrollwork, it is quite the opposite. For every round the box is wound, to a maximum of 6 rounds, the box produces a 5 foot zone of silence for a turn / 10 minutes. 4) Transcription Machine: When wound, 1 round of winding equals 1 turn of functionality, and fed with paper the machine will transcribe everything said into it's horn. Made of black and green metals, it is the size of large book, and resembles a combination of a grand piano, gramophone, and a scarab. As to how it knows the written form of the languages spoken into it, one would have to open the device's case. Within the inner most shell is a pulsing piece of flesh that looks like a strange combination of a heart and a brain. Once exposed to air, the organ withers and dies leaving only the gold electrodes that attached it to the machine. 5) Attachment Device: It resembles an elongated, legless horned beetle crouching over a narrow plate that extends just beyond the 'head'. Constructed of a prismatic metal, it appears to have been contructed to bind pieces of paper together. However, with a successful Strength/Bend Bars check (relatively easy), one can pry loose the bottom plate to make the device more useful. The device can bind any two objects together using a sliver of the same prismatic metal it is constructed of, and it seems to have a limitless supply. After being bound together, it requires a successful Strength/Bend Bars (OSR/D20) OR Strength save (Into the Odd) (somewhat challenging) check to separate the two. Great for repairs, or keeping pesky enemies in place. The device does 1D3 damage, and only has a range of 5 feet. 3) Spitting Fleas: These oversized sand fleas, about the size of an apple, are somehow still alive in their cobweb-like wrapping. They have atrophied limbs, and a squishy, protruding abdomen. When squeezed, they spit a caustic liquid that can temporarily blind a target. (OSR/D20) A touch attack is required, the target gets a +2 bonus if they are wearing headgear. If successful the target must save versus Poison/Fortitude (DC 14) or be blinded for 1D6+1 rounds. (Into the Odd) Targets must make a Strenght save or be blinded for 1D6+1 rounds. The flea can spit 3 times, before it must rest for an hour and be given a few drops of water. Amazingly they don't need to eat. The characters find 1D4 fleas. 4) Pincer Manacles: The manacles look as if they were ripped off of an oversized scorpion. The manacles are no more or less easy to escape from than their mundane cousins. However, every failed escape attempt results in the wearer taking increasing levels of damage until their hands or feet are lopped off. (Attempt 1. 1D2 2. 1D3 3. 1D4. 4. 1D6 5+. [OSR/D20] Save versus Death/Fortitude (DC 15) or lose the extremity as well as 1D6 damage. [Into the Odd] Strength Save or lose the extremity as well as 1D6 damage that bypasses armor). 5) Chalk of Truth: Drawing a circle around an individual using the chalk creates a zone of truth. (OSR/D20) The target must make a save versus Magic/Will (DC 15) in order to tell a lie for the next 5 questions. On a successful save the liar takes 1D2 subdual damage, and must make a successful bluff check in order to not show signs of pain. (Into the Odd) The target must make a WILL save in order to tell a lie for the next 5 questions. On a successful save the liar takes 1D2 WILL damage, and must make a successfully lie in order to not show signs of pain Each piece of chalk has 10 uses before it becomes a useless nub. The characters find 1D4+1 pieces. 6) Lightning Stick-Bug: This bug is found barely alive in its cobweb case. It resembles a stick-bug without limbs and an iridescent black carapace, it is roughly the length of an adult's forearm. It's eyeless head as a short proboscis with a sharp tip. If fed 1 hp of blood, it will become active. When it is gripped by the rough, hand-sized section below its head, the rest of its body vibrates softly and gives off a scent of ozone. (OSR/D20) Anyone struck by the bug takes 1D4 bludgeoning damage and must make a save versus Paralysis/Fortitude (DC 14) or be paralyzed for 1 round. (Into the Odd) Anyone struck by the bug takes 1D6 bludgeoning damage and must make a Strength save or be paralyzed for 1 round. After an hour of activity the bug goes back into its coma-like state. Insect-like furniture, or furniture-like insect? 1-2) Nothing of Use: Characters only find nearly worthless dining sets and strange family portraits. 6) Communication Beetles: These hand-sized black beetles will extend their feathery antennae and contact other beetles of the same type over any distance. 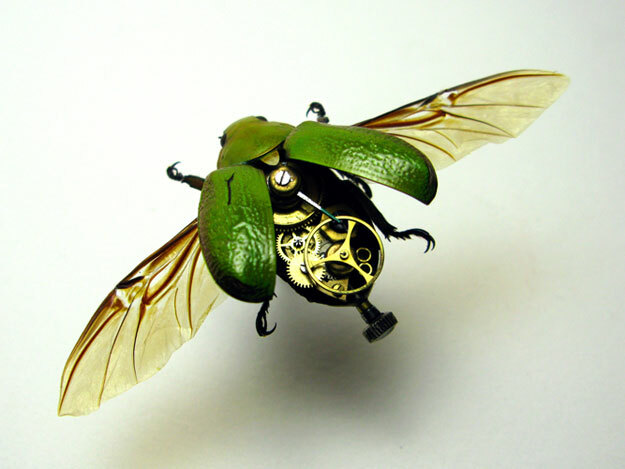 The beetles will mimic the voice of anyone speaking into them to the other beetle, though the voice sounds like a tinny distorted version of the person speaking. To teach the beetle to contact another particular beetle, the user simply presses the beetle into the beetle of the other person while yelling that persons name at the beetle. From then on that beetle will contact the other beetle whenever that name is yelled at it. There is a 1 in 6 chance everyday that the owner of a beetle will get a mysterious call, the person on the other end will: 1. Just breathe heavily, 2. Just Giggle, 3. Describe in minute detail everything the character has done so far that day, 4. Begin pleading for help in a loved-one's voice, 5. Describe what it wants to do to the character using sand and beetles, 6. Describe to the character what awful act the caller is about to engage in. The characters will find 1D4 Communication Beetles. 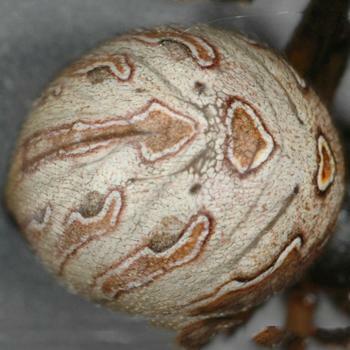 6) Spider-Silk Razor-Wire Grenade: This grenade look like an apple sized, mottled brown spider's abdomen. For every round the grenade is shaken it does 1D4 (OSR/D20) OR 1D2 (Into the Odd) slashing damage to everything in a 10' radius of the object/person the abdomen strikes. 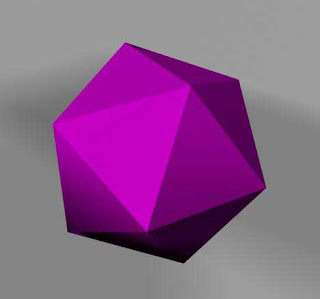 The grenade can do a maximum of 8D4 (OSR/D20) OR 8D2 (Into the Odd) damage, but loses 1D4 (OSR/D20) OR 1D2 (Into the Odd) from its damage every turn / 10 minutes it is not shaken. The characters find 1D6+1 grenades in a spider shaped box made of chitin. (OSR/D20) Targets caught in the blast radius can make a save versus Breath/Reflex (DC 15) for ½ damage. (Into the Odd) Targets caught in the blast radius can make a Dex save for ½ damage. 3) Mist Armor: A roiling mist contained within an amulet that can be worn on a bracelet or necklace. When the clasp on the amulet is released, the mist flows over the wearer, providing them with protection. Re-engaging the clasp will cause the mist to return to the amulet. The amount of protection provided depends on its color: Red: +1 AC/Armor Yellow: +2 AC/Armor Purple: +3 AC/Armor Black: +4 AC/Armor. The armor bonus stacks with other armor, but it's reduced in a strong wind. In a strong wind, the AC bonus is reduced by -1. The armor does not incur penalties for being worn. 1D8 (1-3: Red 4-5: Yellow 6-7: Purple 8: Black). 4) Beetle Goggles: These goggles appear to be a black, iridescent beetle with a single head but two bodies protruding from either side of the head. The goggles naturally adhere over the eyes, once worn the wings open to reveal hemispheres of jelly sealed in a cage of chitin. Once the wings open, the user's vision expands to allow them to see beyond the 3rd dimension. This expanded sight grants the user +1 to their AC/Armor. The wearer may sacrifice 2 HP (OSR/D20) OR 1 HP (Into the Odd) to improve this bonus by +1 AC as their vision expands further, up to a maximum of +4 AC provided by the goggles. The bonus last for a turn (10 minutes), before the bonus fades. The goggles do not appear to need food or water in order to survive. 5) Razor Wing Moth Shield: Found in a cocoon of gently pulsing silk lays a comatose moth. With wings furled, the moth is roughly half the size of an adult's forearm. When the wings unfurl, they stretch to roughly the size of a large shield. The wings are made of some kind of mottled red and green, metallic silk. The wings are incredibly resilient, granting a +1 shield bonus to AC (OSR/D20) OR +1 armor (Into the ODD). The head of the moth is manipulated to get it to clasp the wearer's forearm, unfurl its wings, and to engage in its two 'modes'. The first mode gives the wearer a 1 in 6 chance of blocking incoming ranged attacks. The second mode will cause the moth to attack anyone coming within 5' of the wearer with the razor sharp edges of its wings. Unless the moth is targeted, the creature will not take damage from attacks. The moth needs a steady diet of leafy greens, if not fed in 3 or more days, it dies. OSR/D20 Stats: HP: 10 AC: 16 Move: 60 ft. (Flying) No. of Attacks: 1 To-Hit: +2 Damage: 1D8 Size: Small All Saves: 15. Into the Odd Stats: HP: 3 Armor: 3 Move: Flying Damage: 1D4 Size: One Handed / Small All Stats: 5. 4) Apothecary Scorpion: The characters find 1D3 of these largely docile scorpions that appear to be strangely colored Emperor Scorpions with silver needle stingers. The scorpions never use their pincers, but will sting any target that lights strikes them (a finger flick will do). The coloring of the scorpions is always iridescent but with differing hues depending on their 'venom'. The scorpions hold 3 doses within their 'venom' sacs, they renew these doses at a rate of 1 every 8 hours. These scorpions seem to be able to subsist on air alone. Roll 1D4 to determine the scorpions coloring and effect of its 'venom': 1 – Light Blue: +1 bonus to Search checks, +10 ft movement rate, and +/- 2 Bonus to AC (OSR/D20) +4 to Dex (Into the ODD). Effect lasts 1 hour, after that hour the individual 'crashes' taking a -2 to all skill and stat checks for the next hour (OSR/D20) OR -2 to all stats for the next hour 2 – White/Silver: Renders the individual immune from insanity, mind effects, and moral effects. However, the character receives a -5 penalty to all rolls that involve social interaction, due to the character being ever so blasé about everything around them. The effects last for 1D3 hours. If the character is currently suffering a preexisting form of insanity, that insanity is negated for the duration of the 'venom's' effect. 3 – Pink: This allows a user to make 3 rolls to combat the current ongoing effects from a disease or poison, these rolls count toward the total number of saves needed to completely overcome the disease or poison. If the individual is under the effects of multiple diseases or poisons, roll randomly to see which poison or disease the 'venom' fights first. If there are any remaining rolls left, they are applied to the next poison/disease rolling randomly if there are multiple poisons/diseases remaining. 4 – Purple: The 'venom' grants the user an incredible level of pain tolerance, which in turn grants the individual 2/- damage reduction (OSR/D20) OR 2 Armor (Into the Odd). The drawback is that they GM keeps track of the individual's hit-points, and does not inform them how much damage they have taken. This effect lasts for 1 hour. 6) Nurse Spider: The characters find a motionless white spider with the same physiology of a black widow, though roughly the size of an adult's hand. If fed 1 HP worth of blood, the spider will become active, and move to rest on the arm or shoulder of the person who fed it blood. 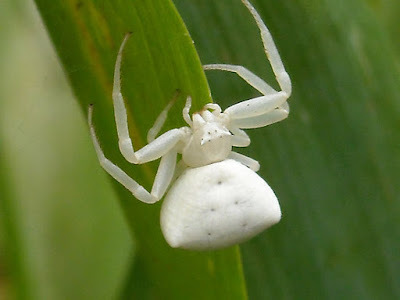 For the remainder of the day the spider will bite whoever they are resting on, when that individual reaches 50% or less of their total HP. Rather than damaging the individual, the spider's bite will heal 1D6+3 HP (OSR/D20) OR 1D3+1 (Into the Odd). The spider is capable of delivering 3 such bite before running out of its healing venom. It refreshes its uses at a rate of 1 per 8 hours. When the blood feeder finally lays down to sleep, or meditate in the case of elves, the spider then goes back to its motionless state. It will reawaken when it is fed 1 HP of blood again. OSR/D20 Stats: HP: 10 AC: 17 Move: 20 ft. No. of Attacks: 1 To-Hit: +2 Damage: 1D3 Size: Diminutive All Saves: 15. Into the ODD Stats: HP: 3 Armor: 2 Damage: 1D3 Size: Diminutive All Stats: 5. 5) Item Seeds: The characters find 3D10 perfect cube red seeds the size of a 'standard' sized 6 sided die. If planted in fertile soil, given regular watering, and given plenty of sun the seed will produce a green shoot in 1D8+1 days. When an item that is no large than a medium sized/one handed weapon is buried next to the shoot, the shoot will grow into a full grown plant in 1D12+1 days. The full grown plant will sprout branches in the form of whatever item was buried next to it. The branch versions of the items possess the same stats as the buried items, save that they do not possess any of the magical enchantments of the original item. The copied items possess all the altered stats from being made of special materials, though they do not count as being made of the special material for the purposes of bypassing damage reduction. The original item is destroyed after the plant reaches full size.